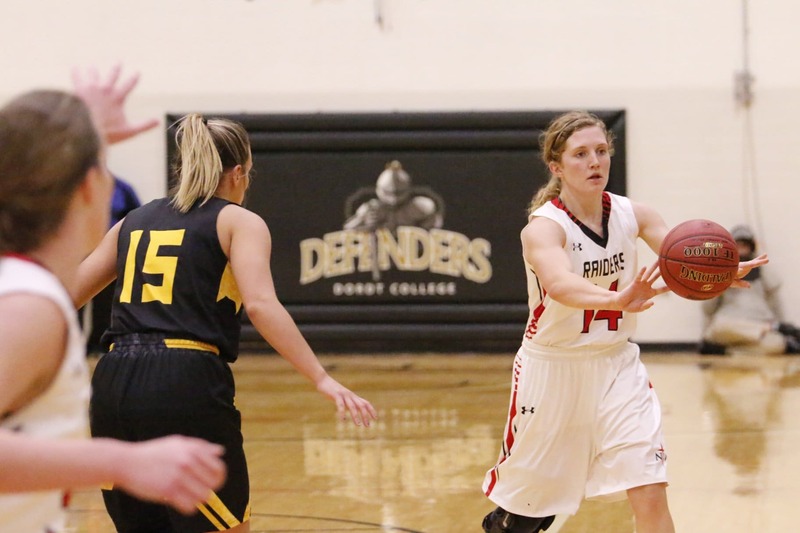 The second-ranked Red Raider women survived a scare from #14 Dordt, winning 77-70 in Wednesday’s matchup in Sioux Center. The top-15 matchup lived up to its billing from the exciting atmosphere to the game’s competitiveness. With the win, Northwestern moved to 20-2 overall, 14-2 in the GPAC, as Dordt is now 17-7 overall and 10-6 in conference play. It was the second matchup between the schools, with NW also winning the first 91-84. The Raiders gained an early advantage, starting the game on a 9-0 run. From there, Dordt gained an 18-16 lead with 7:26 left in the second quarter. NW kept a marginal lead the rest of the way, alternating leads throughout the fourth quarter. 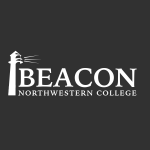 Erika Feenstra’s free throw gave the Defenders a 70-69 lead with 2:39 remaining in the game, but NW senior Kassidy De Jong answered with a layup to earn two of her 22 points on the night. The Red Raiders then forced two crucial turnovers to seal the game. De Jong finished with a double-double, netting 22 points and grabbing 11 rebounds for NW. Senior Darbi Gustafson also finished with 17 points and six rebounds. Dordt was led by Rachel Evavold with 16 points and eight rebounds. Both teams struggled from the field, as NW shot 39% and Dordt 37.5%. The Raiders had an advantage at the free-throw line, earning 25 points from the stripe compared to Dordt’s 17. NW now has three straight 20+ win seasons, with six total for Coach Yaw. Next, the Raider women will travel to face Doane on Saturday. Doane is 4-19 overall and 1-15 in the GPAC. NW will be looking for their sixth straight win as the regular season starts to hit the home stretch. The next opportunity for students and fans to watch the Raiders will be on Feb. 2, as they face the #1 Concordia Bulldogs in the Bultman Center.